When Margaret Delainey talks about her experiences as a member of an artist guild, she’s effusive. Delainey has been a member of the Prairie Artists’ Guild for a decade, after retiring from a career in education and deciding to pursue a lifelong interest in painting. She soon found that her new “family” provided a place to develop her painting skills and grow in a supportive environment, while also giving her the opportunity to show and sell her work. Delainey isn’t alone: throughout Saskatchewan, guilds give artists a community in which to learn, network, and showcase their art. It’s not surprising that artists would seek communities like these. Art-making is often a solitary activity, but working in isolation can be difficult. And while classes and workshops provide a chance to connect with other artists, many find themselves looking for something more consistent and long-lasting. Loosely defined, an artist guild is an association of artists who join together for activities related to creating, promoting, and selling art. 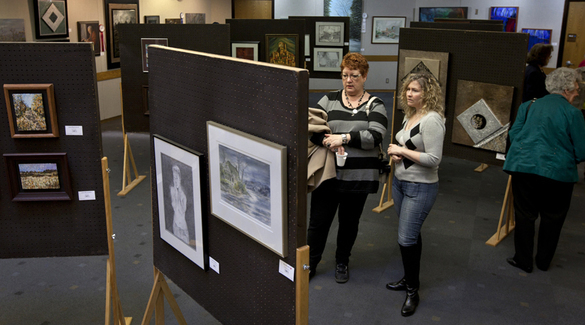 These might include meeting to work together, organizing workshops or critiquing sessions to improve techniques, hosting shows to display and sell members’ art, and building professional and charitable partnerships with galleries and community organizations. Guild membership may also provide other benefits, like discounts on art supplies through certain retailers and access to resource libraries of books and DVDs. While some guilds accept members who work in many different mediums, other guilds are focused on a specific art form, like wood-turning, quilting, or pottery. 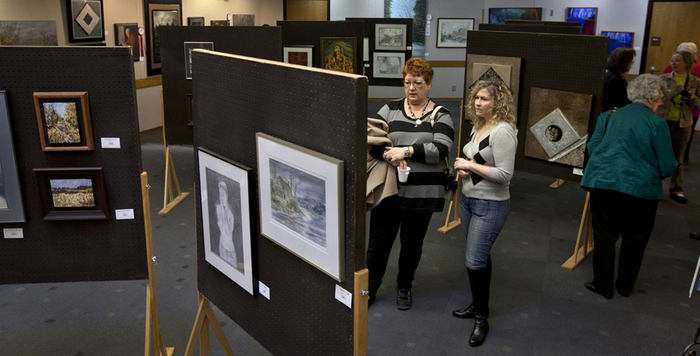 Artist guilds are member-driven organizations, often registered as non-profits. This means that member involvement is important, and most guilds require some minimum level of participation in planning events and guiding the organization. Many active guilds hold meetings at least once per month, and some even meet weekly, giving members plenty of opportunity to contribute. As Kay Bradley of the Regina Federation of Artists points out, “We can always use other skills that members have.” She provides the example of how her guild greatly benefited when web designer Mark Sexton joined and was able to establish a website for the organization. 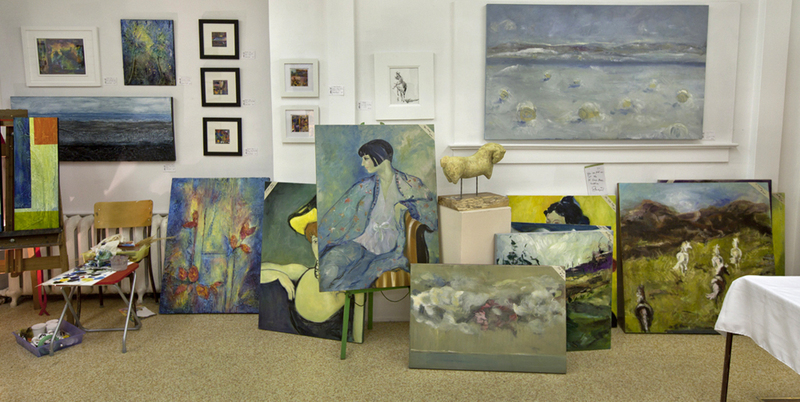 Saskatchewan is home to over twenty artists' guilds, both in the larger cities and in smaller centres. Some have fewer than ten members, while others have over 40, and the guilds' mandates, levels of activity, and accepted art forms vary. Artists who are seeking to join a guild can find information about their options online (including Saskatchewan NAC’s database of guilds and associations in our Resources section), through professional associations, and from other artists. And NAC’s article on the history of some Regina-and-area guilds provides a good starting point for artists local to that area. by NAC contributor Jessica Boyachek.